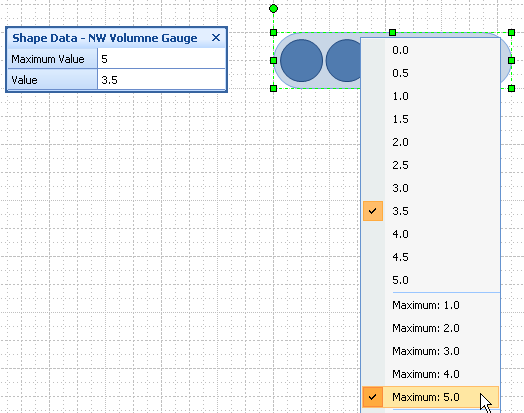 You are here: Home / Visio Content / Shapes / Turn It Up With the NW Airlines Volume Gauge! Turn It Up With the NW Airlines Volume Gauge! The last time I flew the Amsterdam to Seattle route on Northwest Airlines, I noticed an interesting graphic while trying to figure out how to watch a movie with the in-flight entertainment system. The graphic showed a clever way to squeeze more steps into a gauge-graphic without using more space. Of course I couldn’t resist turning it into a Visio SmartShape. 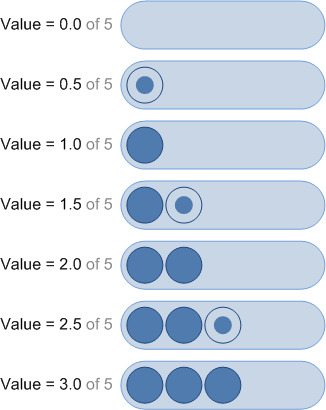 You can download it here and use it your presentations and documentation to show ratings, status, priority or other relative data values that will pop off the page when illustrated visually! Six-inch Screen: Not a Lot of Space! Since the screen jammed into the head-rest of the guy-in-front-of-me’s seat is so small, the UI designers of the Linux-based system (I know, I saw a penguin on the reboot screen after the system crashed…) needed to cram more steps into a small space. As you increased or decreased the level, the dots would sort of stutter at a position as they went from half-dot to full-dot, then on to the next location. I just hope that the airlines won’t try and use this method to jam more people into the plane! Your Very Own Gauge Shape! And if you like to burn up your color printer’s toner as fast as you can, you’ll be pleased with the shape’s behavior with Visio 2007’s Themes functionality. With the click of a button or two, you can change the look and feel of your document–colors, fonts, shadow effects, backgrounds–and your gauge shape goes nicely along for the ride! 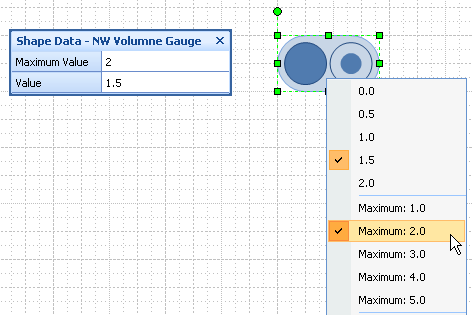 The shape can be placed as-is into any Visio drawing, and quickly configured. But it also screams to be used as a data-graphic. Maybe some of you feel like taking on this challenge. 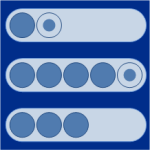 If so, have a look at: Building Custom Data Graphics for Visio 2007 on MSDN. Not had this experience is past – I get a message saying I need to be logged in to download this “NW Airlines” shape? Is it me & my system? It’s not an error, I just need to make the re-direct page a bit prettier. Certain content will require (painless, cost-free) membership in order to download. There’s a log-in at the very bottom of most Visio Guy pages, where you can create an account. be user friendly…just a thought. does not need any VBA. shape 1 + shape 2 = shape 3. aka like hierglyphic math. Thanks for the stencil. Very nice. 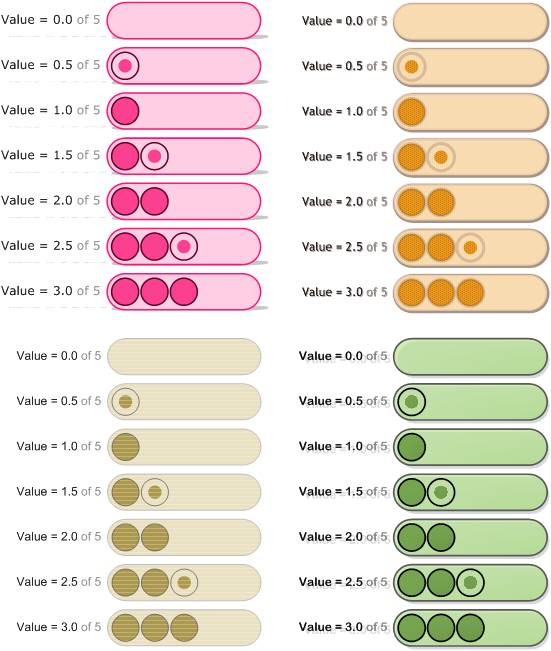 a) I am applying this data graphic to a shape that also is being colored by value via the data graphic. 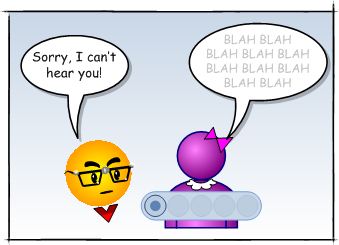 Principally, this ends up coloring the volume graphic also (which is not what I would prefer). I assume that your stencil’s ability to accept themes causes this to happen. If I want to protect it, I assume I need to put some Guard() statements in there, but I am not sure exactly where/which shapes.. Advice? 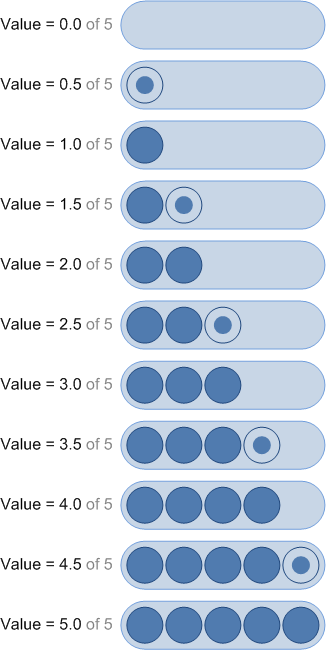 b) I like that your stencil provides > 5 values (including half-values), however, data graphics-by-icon don’t seem to allow you to have more than 5. Am I missing something? I had pondered the idea of making two ‘half’ graphics that were located in the same place on the shape, one for the full circles and one for the half circles.. but it seems like this is a mediocre work around (assuming I could figure out how to do it). Advice? thanks again for your blog .. I have learned a ton from it. But I think you could probably use this graphic as a Data Bar instead. You would just have to figure out how to convert the values into half-increments, or normalize values to between 0 and 10.